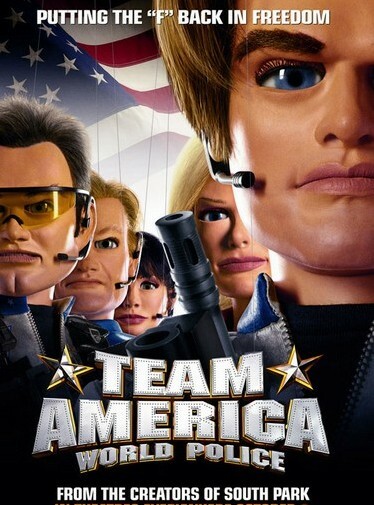 Story: Team America, an international police force dedicated to maintaining global stability, learns that a power hungry dictator is brokering weapons of mass destruction to terrorists. The heroes embark upon a harrowing mission to save the world. To infiltrate the terrorist network, Team America recruits Gary Johnston, a rising star on Broadway, to go undercover. Although initially reluctant to sacrifice his promising career, Gary realizes that his acting gift is needed for a higher cause. With the help of fellow Team America members, Chris, Sarah, Lisa, Joe and Spottswoode, Gary slips into an arms dealer's hideout where he discovers that the terrorists' plot has already begun to unfold. From the pyramids of Cairo to the Panama Canal and the finally to the palace of power-mad dictator, Kim Jong II, Team America criss-crosses the globe on a desperate mission to preserve the very fabric of civilization.